The Code of the Woosters was one of Stefan Nilsson’s suggestions for including a book by P.G. 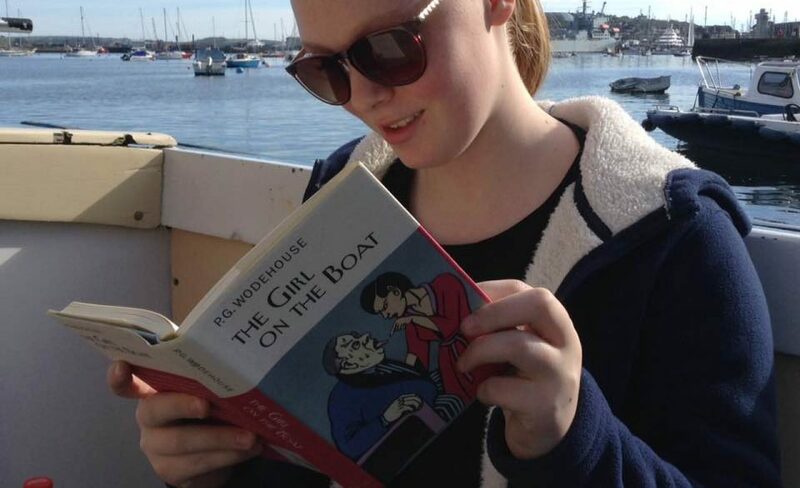 Wodehouse in your 2016 Reading Challenge – as a 20th Century Classic. A classic it most certainly is, not just in the eyes of Wodehouse readers. The Code of the Woosters frequently pops up in literary lists of ‘books you must read’. Its plot and characters are arguably Wodehouse’s best known. The story opens with Bertie sipping one of Jeeves’ famous hangover cures, the morning after a binge honouring Gussie Fink-Nottle. Bertie’s respite is curtailed by a visit to his Aunt Dahlia. Little knowing, as I crossed that threshold, that in about two shakes of a duck’s tail I was to become involved in an imbroglio that would test the Wooster soul as it had seldom been tested before. I allude to the sinister affair of Gussie Fink-Nottle, Madeline Bassett, old Pop Bassett, Stiffy Byng, the Rev. H. P. (‘Stinker’) Pinker, the eighteenth-century cow creamer, and the small brown leather-covered notebook. Bertie is propelled to Totleigh Towers, lair of Sir Watkyn Bassett and his soupy daughter Madeline, where he must wade knee-deep in a stew of Aunts, amateur dictators, policemen’s helmets and silver cow-creamers –to say nothing of the dog Bartholomew. Among Wodehouse enthusiasts, devotion to The Code of the Woosters borders on the cultish. Perfectly sensible people who previously had no earthly use for cow creamers, find themselves squealing with delight when they meet one. In serious cases, fans have been known to collect them, to display proudly on the mantelpiece abaft their statue of the Infant Samuel at Prayer. Once the enthusiast reaches this stage, it is advisable to join one of the excellent P.G. Wodehouse societies where similarly afflicted subjects gather in gangs and kid ourselves that such behaviour is normal. One devotee, Mr Ashok Bhatia, has gone a step further in trying to de-codify the Code of the Woosters . The Code of the Woosters has been adapted multiple times for television and radio. Since 2013, it has been going about on the stage under a false name – as Perfect Nonsense – with great success. The continued popularity of this story almost 80 years after its original publication, and its inclusion by literary list-makers as exemplifying Wodehouse at his best, assures this novel’s place as a 20th Century Classic. Quoting Wodehouse is all very well in moderation, but nothing compares to reading his words in situ. If you are looking for a book by P.G. Wodehouse to include in your 2016 Reading Challenge, it’s a great place to start. • which reading challenge and category you included it under. The 2016 Mini Reading Challenge: include a book by P.G. Wodehouse. Reading any Wodehouse is always a good idea. You have wonderfully pulled off the old nail-on-the-head trick again in this review of The Code of the Woosters. If I were at home I would be headed for the library to re-read it instanter. Yes, I can definitely see me doing that if I was shown one unexpectedly! Hmm, perhaps this could be some sort of Hitchcockian way of identifying the true Wodehouse aficionado? How about doing a quiz for us in your inimitable style to determine the levels of Wodehouse fandom? I love the test idea. I’ve always felt it a better thing to write the tests than take them. It’s the only way of being sure that you know the correct answers. I ran a few quiz nights during my time in Australia and you can be sure that something Wodehouse related always sneaked in. I have also made a pest of myself at other people’s quizzes by complaining about the lack of Wodehouse questions. That was one of the first signs, for me, that I might have crossed a line with the whole Wodehouse thing at some point.